Organise your warehouse, workshop or storeroom with this range of vertical racking which is available in both starter and extension bay options. Each starter bay kit includes two side frames, beams, right and left hand dividers, one adjustable divider and all necessary fixings. The extension bay kits include one side frame, beams, three adjustable dividers and all necessary fixings. Each vertical racking bay comes with complete with three hoop dividers and each frame measures 2550mm in height and 810mm deep. 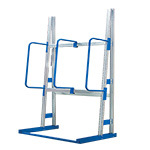 Use these racks to safely store items up to three metres long. The dividers are at a depth of 400mm. The uprights and beams are manufactured from galvanised steel and the steel dividers are painted blue RAL5010. As an extra safety precaution this vertical racking unit can be secured to the floor. 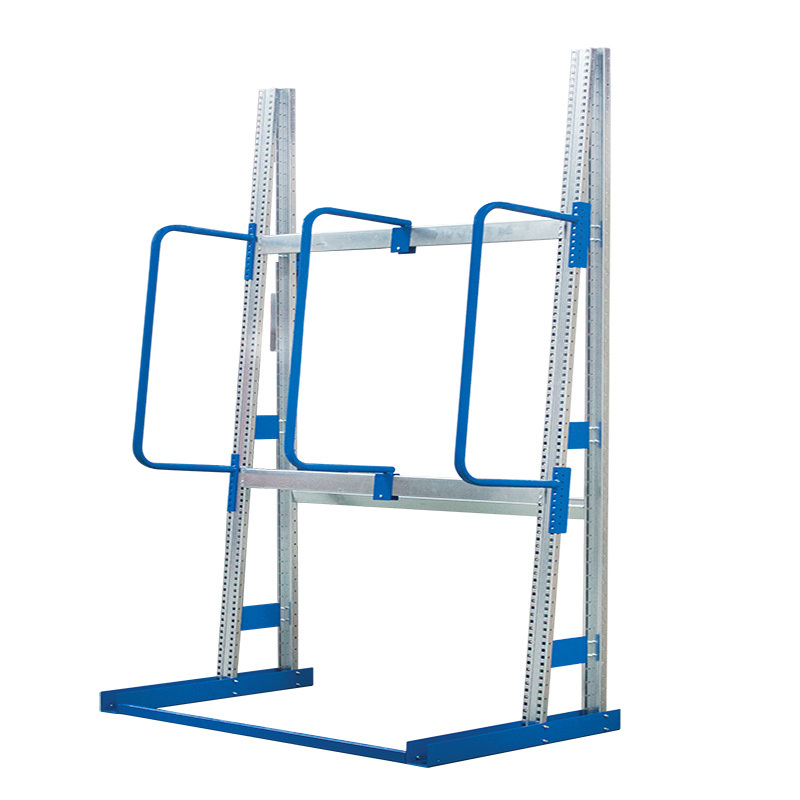 And to super customise your racking solution, extra adjustable dividers can be purchased separately.